Crowd Source Fundingis gaining popularity as a means for raising funds for start-up organizations that aren’t going through traditional means of raising capital and we here at TheWondersExpedition.com have been running a campaign with Kickstarter.com for almost three weeks now. Today, we are proud to share with you a video recently shot by 12-year-old twins, Reagan and Haley Claxton, who were kind enough to give it their best shot. We made this home-made video and did our best to throw in some humor with the subject. After all, who expects 12 year olds to know anything about CSF? Heck, most adults probably don’t even know what it is. 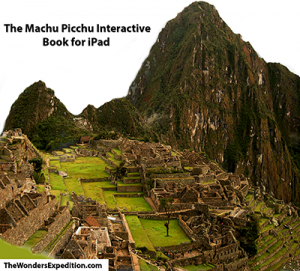 We have a kickstarter.com campaign up to raise funds to develop an interactive book for the iPad on Machu Picchu in Peru. In exchange for your pledge, you will receive cool rewards if we reach our funding goal. If we don’t, and there admittedly is a possibility of that at this writing, we get nothing and those who have pledged get charged nothing. When we do raise the funds, after a short delay and after paying Kickstarter and Amazon each 5 percent for helping us raise the funds, we’ll be scheduling a trip to Peru in June or July to go get this incredible book done. That’s it. But it’s much cuter to let the twins tell you…. Day 1 of Kickstarter.com Campaign–We Can’t Do It Without YOU! 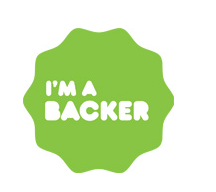 If you’ve already become a backer of The Wonders Expedition via our Kickstarter.com campaign –THANK YOU! We can’t thank you enough. If you have yet to become a backer, thank goodness, there’s still time for you to become one by clicking this link! 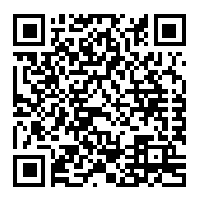 WHAT IS OUR CAMPAIGN ALL ABOUT? It’s simple. 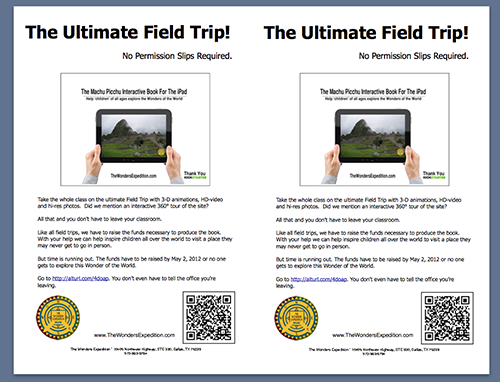 We’re asking hundreds of our soon-to-be-new-best-friends to back our effort to raise enough funds to send a production crew to Peru in June or July, based on when we can get all the permits, reservations and ticketing taken care of, and go to Machu Picchu, one of the new Seven Wonders of the World, and document the site for the Interactive Book for the iPad that we’re building. Just think of a paperback and throw that thought away. Think of an e-Pub document for the Nook or Kindle and then think of the old Mac commercials where PC is explaining to Mac about his summer vacation with an Excel spreadsheet. 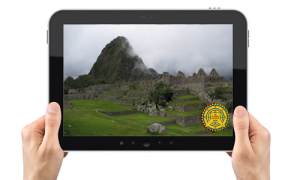 Then think of holding an iPad in your hands and being able to wander around visually with 3-D animations, graphics, embedded videos of scholars and scientists explaining about what used to happen at Machu Picchu, and think of clicking on a button and being able to see a 360° rendering of the site. The choice is clear, hi-res and in HD and on the new iPad with the incredible retina advancements, well, it’s going to be the next best thing to actually being there. 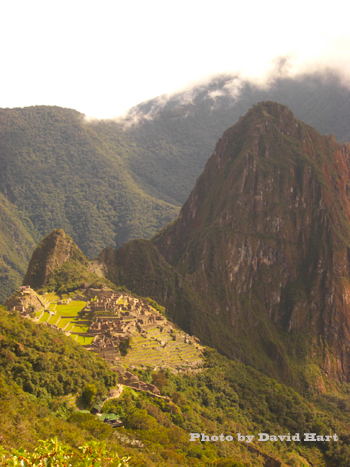 WHO FOUND MACHU PICCHU? WAS IT REALLY HIRAM BINGHAM? 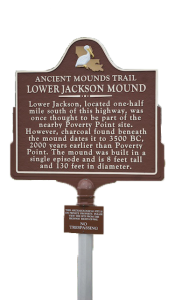 Well, he did climb the mountainous area one day in 1911 and “re-discover” it. There are accounts of others having been there and maybe even some graffiti on a couple of the walls when he got there. But it is clear that exactly 100 years ago right now, Hiram Bingham was out raising funds, just like we are doing, to go back so he could gather enough information to properly share with the world about Machu Picchu. 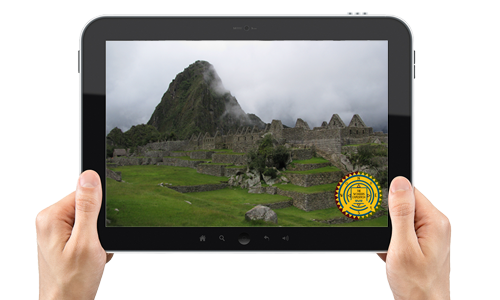 We’ll share more facts about the project and Machu Picchu each of the remaining 32 days of our campaign. In the meantime, we ask that you please support our efforts and encourage your friends and family to do the same. This can be one of the greatest creative learning projects ever put together and you have a front-row seat and chance to be a part of it, let alone to have your name in the book if you give $25 or more toward our goal! In the 1930s, a young woman named Maria Reiche packed her bags and moved from her home in Dresden to Peru, perhaps to escape the political turmoil brewing in Europe at the time. Well-educated and fluent in five languages, Reiche began assisting the researcher Paul Kosok, who was studying strange geoglyphs that had been found in the dry southern desert of Peru only a few years earlier. These strange geoglyphs had been etched onto the desert floor of the Pampas de Jumana thousands of years ago by a people called the Nazca. The Pampas de Jumana stretch 450km² (173mi²) and make up one of the driest deserts in the world. To the ancient Nazca people, the pampas were like a giant chalkboard on which they could easily create geometric lines and zoomorphic shapes. 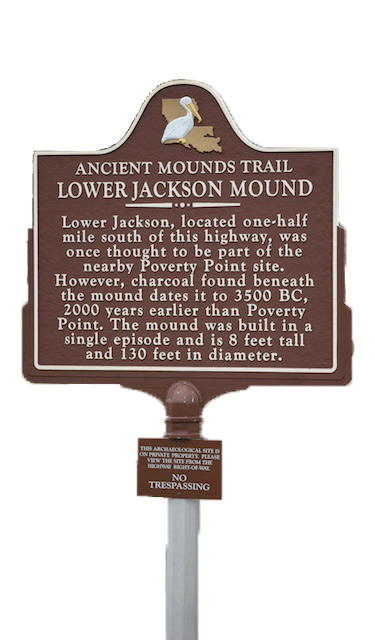 They simply removed the red-brown topsoil to reveal white rock beneath, and because of the arid climate of the region, the geoglyphs have been preserved for thousands of years. A mathematician, Reiche carefully measured and mapped out many of the Nazca Lines, using a ladder and other instruments to painstakingly mark out the length and shape of the geoglyphs. She published a book on her findings, concluding that the geoglyphs must have some astronomical significance. There were geometric lines that followed the point of the summer solstice as well as the winter solstice. For the latter years of her life, Reiche lived and breathed the Nazca Lines, becoming the champion for their preservation and recognition as a UNESCO World Heritage Site. Maria Reiche spent the last years of her life at the Hotel Nazca Lines, and after her death in 1998, her room was turned into a museum exhibit. The local Nazca airport, where many tourists now take a short overflight to see the Nazca Lines from the air, has been named after her as well. Debate about the purpose and significance of the Nazca Lines has been fierce ever since their discovery in the 1920s, which just contributes to the appeal of the “mysterious” Nazca Lines. 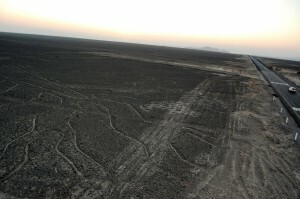 From specious theories that the Nazca Lines were runways for extraterrestrial aliens, to the more persuasive idea that the lines were meant to please the gods and ask them to bring rain upon the desert, the Nazca Lines have generated wonder and mystique that continues to draw thousands of visitors to see them each year. To visit the Nazca Lines for yourself, plan on a one or two night trip departing from Lima, the capital of Peru. The town of Nazca is located about 400km south of Lima, and a direct bus ride from Lima to Nazca will take about 9 hours. You may want to stop in the town of Huacachina (near Ica), or in Paracas Bay, to make the trip more of a relaxing weekend getaway. In the center of the town of Nazca is the Hotel Nazca Lines. This beautiful 3* hotel is a great place to stay, but it is also a Nazca destination because it is home to the Maria Reiche Planetarium. Every evening, the planetarium offers shows at 7:00pm for a small fee. A local researcher points out prominent stars in the night sky, and then gives a short presentation inside the planetarium that covers the discovery of the Nazca Lines in the early 20thcentury, as well as the influence of Maria Reiche on the preservation and interpretation of the geoglyphs. 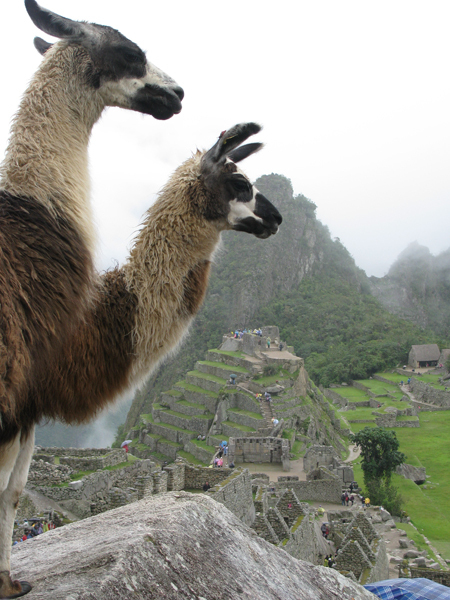 Kaitlin writes for SouthAmerica.travel, a leading travel agency specializing in multi-country South America Tours. 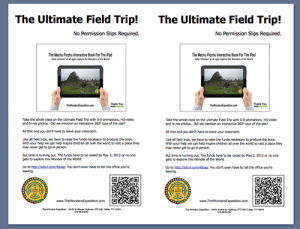 Check out this great Essence of Peru Tour to the Nazca Lines and other important landmarks in Peru.